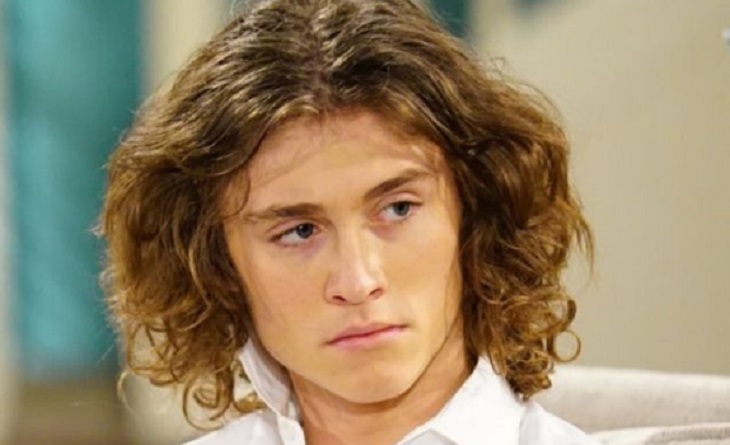 A play on words regarding Tristan Lake Leabu’s (Reed) character’s return this week on ‘The Young and the Restless’. But the headline of this feature also directly addresses the building lead-in to the climax of the long-running J.T. (Thad Luckinbill) storyline. Reed didn’t know that his father was killed last April. Y&R briskly wrote Leabu’s character, a talented musician, out of the script as part of its plan to create what has become an extensive, multi-dimensional arc. The write-back that happens this week has Reed learn a shocking presumption, Victor (Eric Braeden) is now believed to have killed Mr. Hellstrom. That means Reed’s grandfather is suspected of having violently erased his own father. Young And The Restless Spoilers – Did Victor Kill JT? Further fallout will see emotions shift from the ‘Moustache’, who is innocent of that crime, though may be involved in its coverup, to Nikki (Melody Thomas Scott). What a tradeoff. Instead of his grandfather being guilty of murder, his grandmother will be tagged as the killer! Leabu’s exit felt rushed last spring. It was. 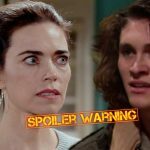 And just as Nikki’s instincts kicked into gear when she entered the upstairs room where her daughter was being attacked by J.T., so too were seasoned soap fan’s projections about this storyline. Removing Reed from the plot equation was necessary. J.T.’s son, more than anyone, would not have remained silent for all these months. He would have been relentlessly pressing for answers, which didn’t fit with how Y&R wanted to handle this thriller. In bringing Reed back, Y&R signals the coming-end of this storyline. Unless J.T. miraculously survived, therefore making Nikki and the coverup crew guilty of much lesser crimes, Newman family fallout will be dramatic. Kelly Kruger’s (Mackenzie) known, coming cast recur will soon be coupled with the revival of Leabu’s alter ego. The mother of J.T.’s children, like Reed, will also either be shocked, or revealed as connected to parts of what’s happened. While this arc has been lengthy, kudos to Y&R for crafting a story that involves so many characters and isn’t generating easy answers among the audience. It’s a good mystery that hopefully also delivers a satisfying final act. General Hospital Spoilers: Could Sasha Be Dr. Obrecht’s Youngest Daughter? Days of Our Lives Spoilers: Will And Adrienne Attack Leo!